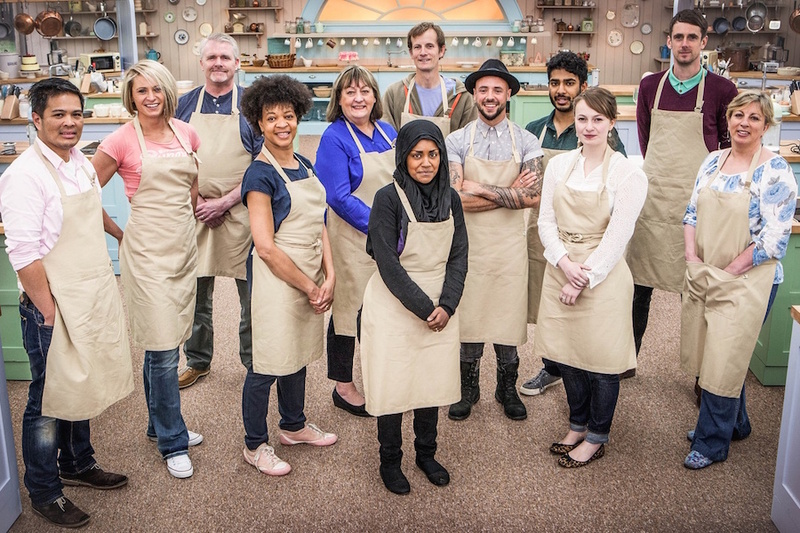 Last night Nadiya Hussain was crowned the winner of the Great British Bake Off; to celebrate the end of the series we’re taking a look back at some of the best and hardest bakes featured this time around. If you’ve been inspired to fire up the oven after watching the Great British Bake Off at home, we’ve got a few recipes to test your skills and treat your taste buds – all tried and tested by the Series 6 bakers themselves. Ready to feel the intensity inside the tent? Roll up your sleeves and get stuck in to one of the notorious technical challenges – the semi-final and final recipes are delicious and difficult in equal measure. Preheat the oven to 190C/170C Fan/Gas 5. Place a heavy baking tray on the middle shelf of the oven. Grease a 14x8cm (1.2 litre/2 pint) soufflé dish with butter and dust with caster sugar. 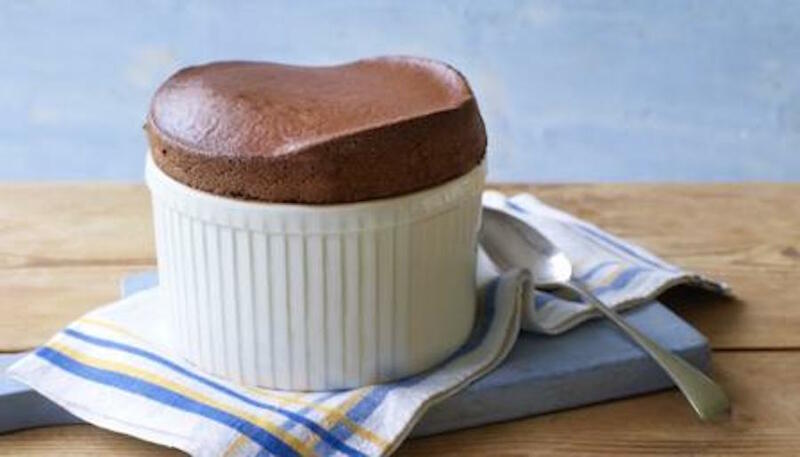 Make a collar for the soufflé dish by folding a 50x30cm/20x12in piece of baking parchment 4 times lengthways (to make a 7½cm/3in deep collar). Wrap it around the top of the dish and secure with string. For the crème pâtissière chocolat, melt the chocolate in a bowl set over a pan of simmering water. Remove from the heat and leave to cool slightly. 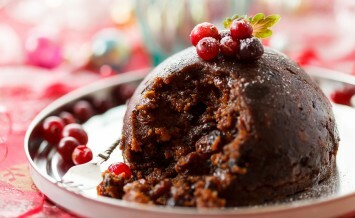 Pour the milk and cocoa powder into a heavy-based pan and bring gradually to the boil. Remove from the heat and leave to cool for 30 seconds. Meanwhile, in a medium bowl, whisk together the egg yolks and caster sugar until pale, then whisk in the plain flour. Pour the chocolate milk onto the eggs, whisking continuously, then pour back into the pan. Bring back to the boil, whisking continuously over a medium heat and cook for 1 minute until thickened. Remove from the heat and whisk in the melted chocolate. Spoon the crème patisserie chocolat into a bowl, cover the surface with cling film to prevent a skin forming and leave to cool to room temperature. In a clean bowl whisk the egg whites to soft peaks. Add the sugar and continue whisking to a stiff and glossy meringue. Whisk one third of the meringue mixture into the crème patissiere chocolat, then fold in the remaining three-quarters using a large metal spoon. The mixture should be fairly loose. Pour the mixture into the souffle dish. Run your thumb around the interior rim of the dish to ensure a good rise. Bake on the preheated baking tray for 40-50 minutes, or until well risen and springy to touch. For the rough puff pastry, mix the flour and salt together in a bowl. Rub in the chilled butter using your fingertips until the mixture resembles breadcrumbs. Gradually add enough water to form a dough (about 4-6 tablespoons water). On a lightly floured work surface, roll the dough out into a rectangle. Grate half of the frozen butter over the bottom two-thirds of the dough. Fold down the top third and fold up the bottom third as if folding a letter. Turn the folded dough by 90 degrees and roll it out into a rectangle again. Repeat the process of adding the remaining frozen butter and fold as before. Wrap the dough in cling film and leave to rest in the fridge for 30 minutes before using. For the jam, put the raspberries in a small, deep pan with the sugar and cook over a low heat until the sugar has melted. Bring to the boil and boil vigorously for 4 minutes, or until the temperature on a sugar thermometer reaches 104C (this is the setting point). Remove from the heat and stir in the knob of butter. Transfer to a large bowl and leave to set. Preheat the oven to 220C/200C Fan/Gas 7. Line 3 large baking trays with baking parchment. Divide the pastry into 3 equal pieces and roll each piece to a 30x23cm/12x9in rectangle, about 5mm thick. Then place each pastry rectangle onto the lined baking trays and chill for 10-15 minutes. Dust heavily with icing sugar. Place a sheet of baking parchment on top of each sheet of rolled pastry and place a large baking sheet on top. Bake the pastry sheets for 10-15 minutes, or until golden-brown and crisp. Set aside to cool. For the sugar syrup, bring the sugar and 50ml/2fl oz water to the boil in a small pan and cook for 1 minute. Remove from the heat and leave to cool. For the icing, roll the white fondant into a 20x15cm/8x6in rectangle. Roll the pink icing into a 10x15cm/4x6in rectangle. Cut the pink icing into 10 strips, each 1cm/½in wide and 15cm/6in long. Lay the pink strips on top of the white icing (the pink strips should be the same length as the short edge of the white rectangle), ensuring they are evenly spaced with approximately 1cm/½in between each strip. Roll over them with a rolling pin to fix the stripes in place. Cut out 6 neat rectangles from the striped icing, each measuring 12x5cm/4½x2in and with the stripes facing the same way, so the tops of the millefeuille match. Set aside. When the pastry has cooled, cut six 12x5cm/4½x2in rectangles of pastry from each sheet of baked rough puff, so you have 18 pastry rectangles. For the Chantilly, whisk the cream, icing sugar and vanilla to soft peaks. Spoon into a disposable piping bag. To assemble, set aside 6 pastry rectangles. Spread a thin layer of jam over the remaining pastry rectangles. Snip the end off the piping bag and pipe a blob of cream in a corner of one of the pastry rectangles. Sit a raspberry next to it and continue piping cream with alternating raspberries until the pastry is covered. Repeat this process on the remaining the pastry rectangles. 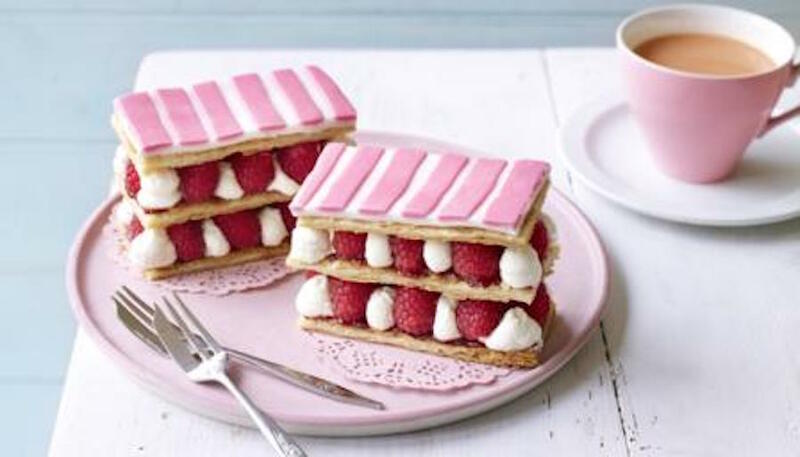 Sit the rectangles on top of each other so you have 6, double-layered pastries, topped with raspberries and cream. To decorate, brush sugar syrup over the reserved 6 pastry rectangles and stick the striped fondant rectangles to the pastry. Place on top of the raspberries and cream and brush with more sugar syrup to glaze. Store in the fridge until ready to serve. 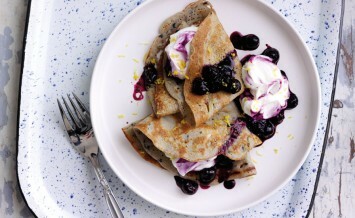 Is there anything Nadiya can’t do? From pastry to tarts and cakes, she proved her skills in the kitchen time and time again over the course of the Bake Off. Let some of her magic rub off on you by trying out her best recipes at home. 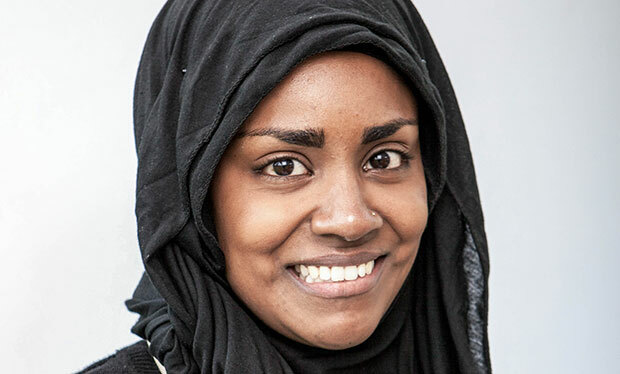 Nadiya won the judges over with her lemon drizzle wedding cake and innovative fondant recipe. Try it yourself at home with her recipe. Chocolate and peanut salted caramel made for a winning combination during the semi-final and helped secure Nadiya’s place in the final. 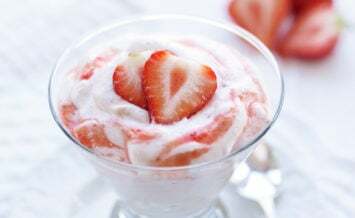 Wow your family and friends with her recipe and make it yourself at home. Nadiya impressed Paul and Mary with her innovative use of childhood flavours in a grownup treat. 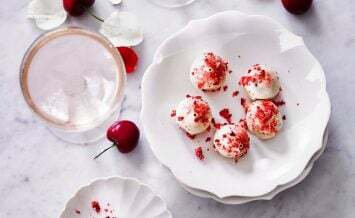 Recreate her fizzy pop cheesecakes at home with her recipe. So tell us – did you enjoy Series 6? Let us know in the comments below.